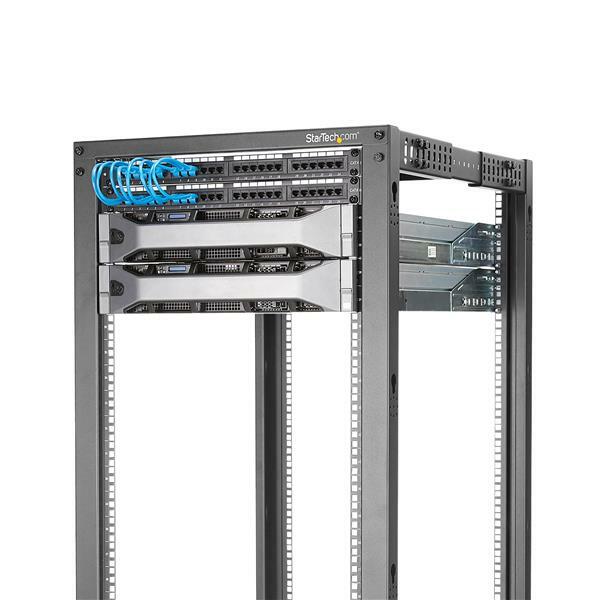 The 4POSTRACK42 42U Server Rack lets you store your servers, network and telecommunications equipment in a sturdy, adjustable depth open-frame rack. 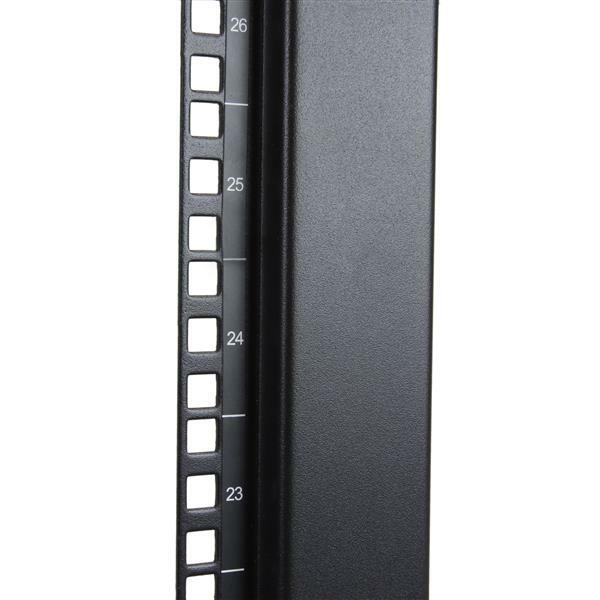 Designed with ease of use in mind, this 42U rack offers easy-to-read markings for both rack units (U) and depth, with a wide range of mounting depth adjustments (55-101 cm / 22-40 in) that make it easy to adapt the rack to fit your equipment. 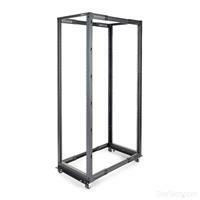 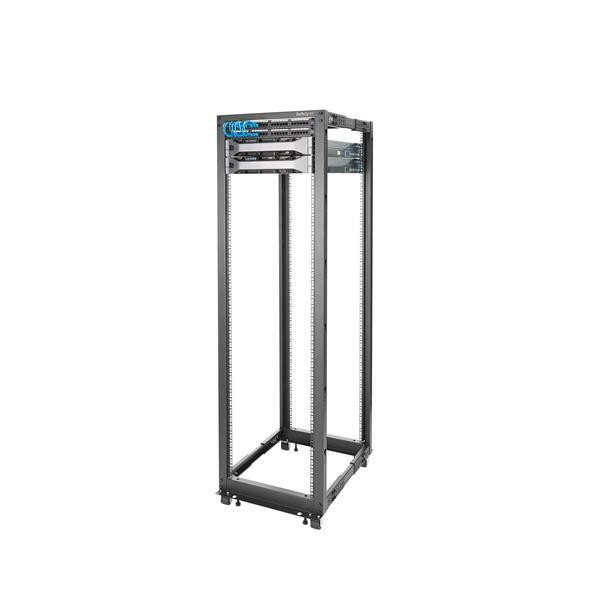 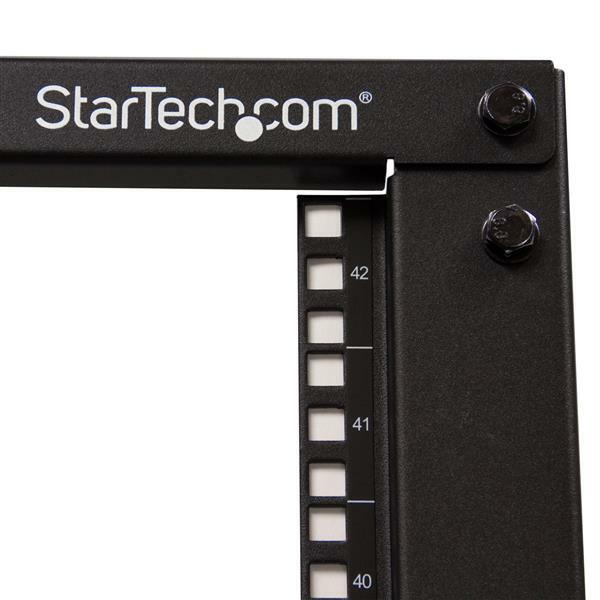 This durable 4-post rack supports a static loading capacity of up to 600kg (1320lbs), and offers compliance with several industry rack standards (EIA/ECA-310, IEC 60297, DIN 41494) for a universal design that's compatible with most rack equipment. 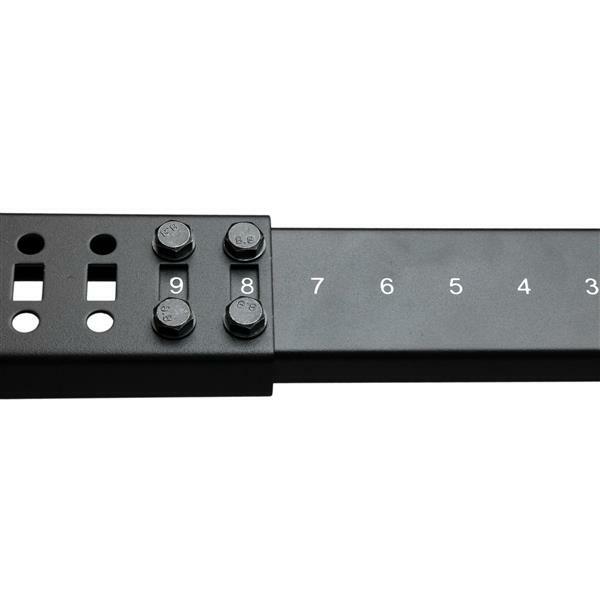 For a complete rack solution that saves you time and hassle, the rack includes optional accessories such as casters, leveling feet and cable management hooks. 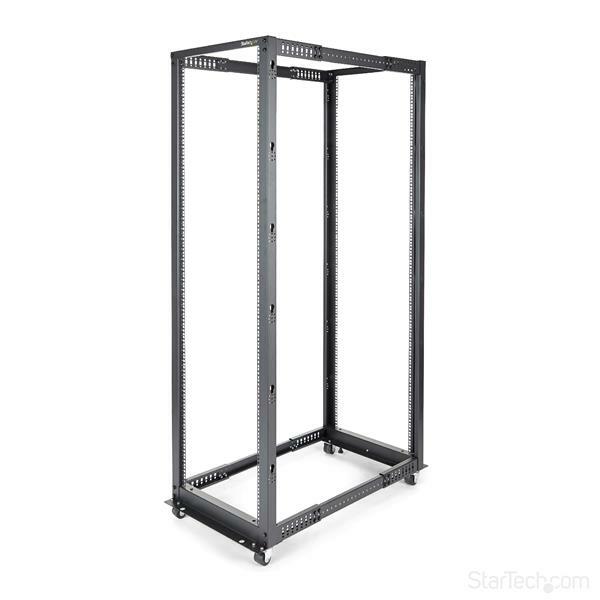 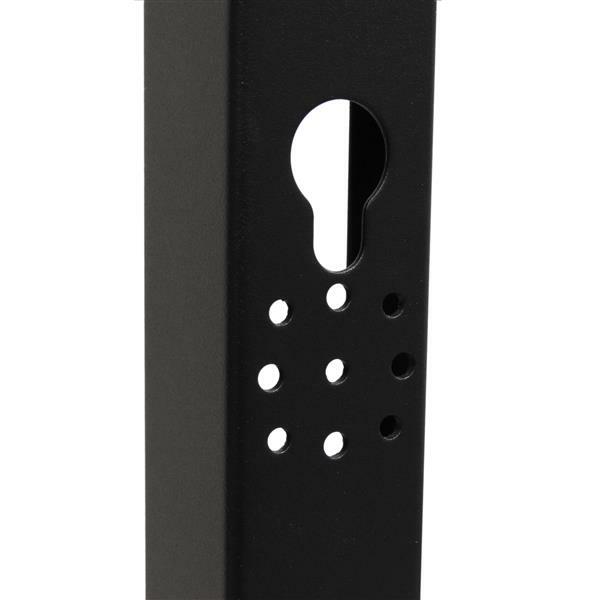 The base is also pre-drilled for securing the rack to the floor if needed, providing you with many options to customize the rack to fit your environment. 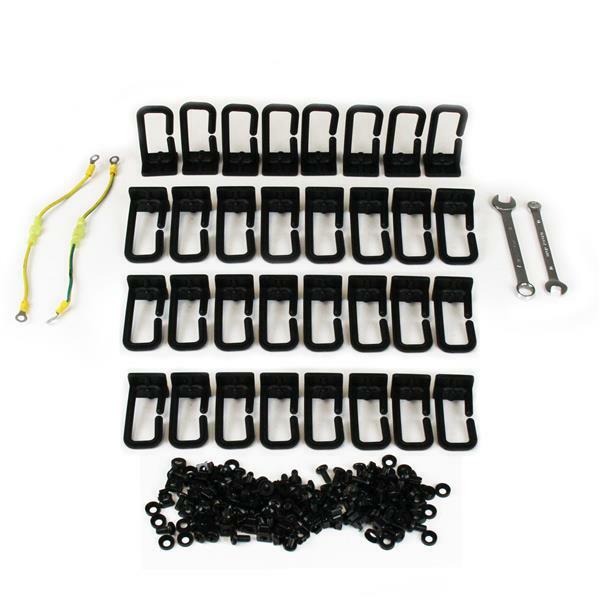 Note 4x casters, 18x M6 caster bolts, 18x M6 caster flange nuts, 18x M6 caster washers, 50x M8 assembly bolts, 50 M8 assembly washers, 50 PVC cup washer, 50 M6 Cage Nuts, 50x M6 phillips bolts, 4x grounding wires, 4x leveling feet, Phillips screwdriver, M6 wrench, M8 wrench, 4x M6 grounding wire bolts (short), 4x M6 grounding wire lock washers, 24x cable clips, 24x cable clip screws.